The land of the long white cloud has produced many a rare bird but few as unique as the Headless Chickens. 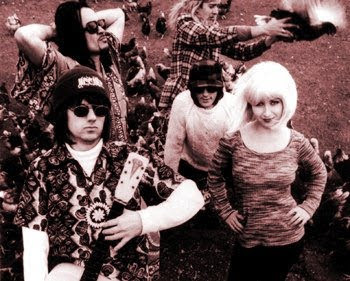 Perhaps it was a combination of its relative isolation to the world at large and the fact that NZ boasts a self-sustained, rich music scene that helped create a band like them - we may never know. But whatever primal forces were at work, founding member Chris Matthews managed to guide his band to success without ever compromising creatively. Headless Chickens break-through album Body Blow (1991) has become legendary, producing hits as diverse as Gaskrankinstation and Cruise Control and still stands today as one of the most successful albums ever by a Kiwi band. The thought of Abba meets Motorhead doesn’t sound so ridiculous in this era of the mash-up. It’s also a reminder of how innovative this band really was. Our talk turns to possible future releases and I want to know if there are plans for a much overdue Headless Chickens DVD. “A recent show in Auckland was filmed so we might be doing something with that, even if it’s only uploading it to YouTube." He says "You don’t need permission or record company clearance to share privately filmed live performances.” Chris still clearly sees his band as truly independent. 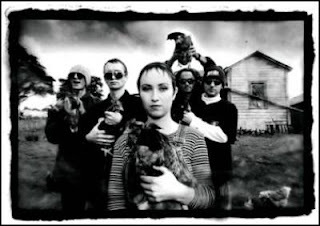 “We have a lot of unreleased footage taken by friends of the band performing, some of which dates back to the early days and it’s those things that would really make a DVD release worth doing.” The Flying Nun label has a huge catalogue of superb bands, surely they’re eager to throw open the vaults now that many classic NZ bands are reforming to tour? “Warners bought out Flying Nun and therefore own our back catalogue and aren’t doing anything with it. That does mean that our early vinyl releases, especially Children’s Hour (Matthews’s pre-Headless Chickens band), are gaining value.” He tells me proudly that the first Headless Chickens EP can fetch up to $150 among traders. He should know - Chris is a serious collector of rare, out-of-print Flying Nun releases. As long as the vaults stay closed the collector market can continue to flourish, a fact I’m sure Chris is content with. He shows great interest in the finer details of the CDs fans bring to him for autographs during our chat. 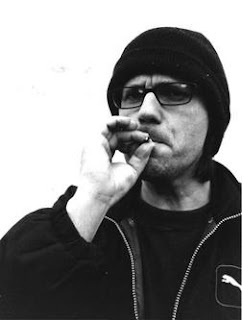 He has an encyclopedic knowledge of his band’s catalogue. “That’s the later Australian edition of our album on Mushroom,” he tells a delighted fan holding a copy of Body Blow. “That was a good release. They added four new mixes that didn’t appear on the NZ version, but the cover art wasn’t as good.” It was a great nerd moment. I felt a thrill knowing some of my own Headless Chickens collection has become rare as hen’s teeth.